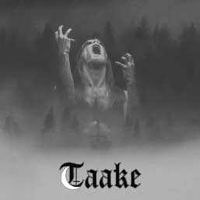 I don't feel as if one ever stopped hearing about Taake after what was supposed to be their last show (at Hole in the Sky in Bergen, Norway, August 2005), and not surprisingly, the fourth and self-titled album was released this fall. Taake's Taake goes right to the Taake-point, again an impulsive, harsh but also melodic soundtrack. The music has more drive than ever, as of a Hoest full of wrath, and goes in the continuity of its predecessor Doedskvad. I could more precisely say that it is bare and without frills, icy, and has the awe of the two first releases (Nattestid... og ...Bjoergvin...), while it is a rockable item in the likes of Doedskvad. Quite predictable it is too, but doesn't it use to be positive in a Taake context? I do think so. The live line-up will be reformed for a bunch of dates this spring, and for the ever growing Graspop Metal Meeting in Belgium in June. I wouldn't miss that, was I you!